Throw it back to grade school this Saturday, March 14, and celebrate Pi Day, the holiday in honor of the mathematical constant of pi (π). To refresh your math memory, pi is the ratio of a circle's circumference to its diameter, aka 3.14159. Since this Saturday is 3-14-15, it's an extra-special Pi Day. 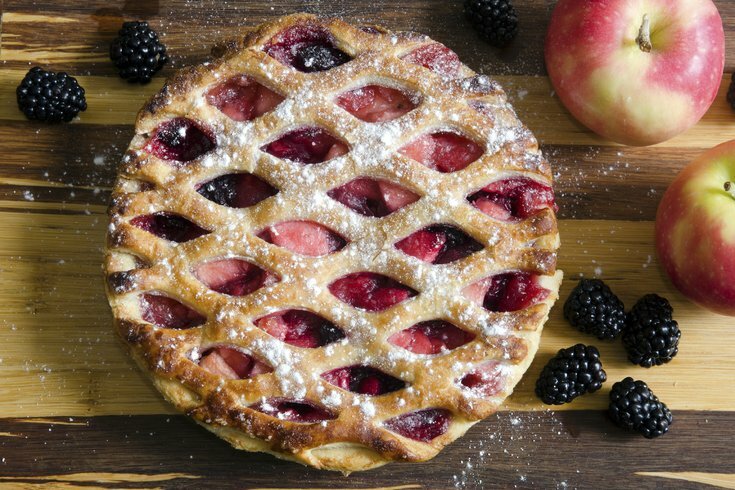 Educational institutions and restaurants are holding some fun events featuring math activities and pie - get it? The whole town of Princeton will celebrate with a festival, beginning with a 3.14-mile run in the morning and ending with a smartphone-led pub crawl. In between there will be celebrations of Albert Einstein's birthday, complete with a look-alike contest; a pie-eating contest and a pie-baking contest. The day is full of fun activities for adults and kids alike. As the local standard-bearer for science-based fun, it's no surprise the Franklin Institute is going all out today. They'll open at 3-14-15 9:26 a.m. since the first eight digits of pi are 3.1415926. Throughout the day, they'll host hands-on activities for measuring pi, a pi recital competition, a pie-launching game, a pie-eating competition and an appearance from Pi Man. Jose Pistola's will partake in the Craft Beer Express today with a special selection of drafts. The restaurant will also hold a TastyKake pie-eating contest and a pi recital contest. Pies will be provided by Frecon Cidery, too.